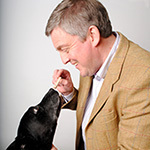 David qualified from the Royal Veterinary College in 1986 and went straight into mixed practice. After 18 months he took a position at Blythwood Veterinary Group in Pinner, Middlesex where he developed his surgical skills and an interest in orthopaedics. Following the acquisition of a small animal vet practice in 1990, David opened 2 new practices by 1996 as well as working in a dedicated emergency clinic in Brighton. 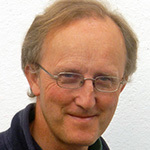 In 1998 David left practice and was instrumental in establishing Improve International, which is now Europe’s largest provider of continuing education to the veterinary profession. 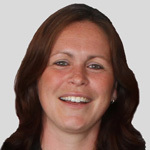 Helen graduated from the University of Bristol in 1985, before working for nearly 20 years in both mixed and small animal general practice in Dorset and the North West of England. 2004 brought a shift in career direction, and since then Helen has been part of the School of Veterinary Nursing at Myerscough College in Lancashire, acting as a course and module tutor and delivering teaching to FE, degree and advanced diploma students on a range of subjects. Her particular areas of interest include anatomy and physiology, and anaesthesia. 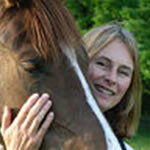 My name is Jenny Harrison and I have been a Veterinary Nurse for 20 years. I have 4 cats at home, and used to breed Birmans until a couple of years ago. I became interested in cat behaviour and gained a Level 3 in Advanced Feline Psychology 5 years ago. Lynda is currently Chair of the Northumberland and Durham Labrador Club and both its representative to Breed Council and the Breed Council Health Committee. She is also one of two elected Kennel Club Breed Health co-ordinators and a championship show judge for over 20 years across the world. Lynda registered the Brigburn affix in 1981 and has bred many Labrador champions including Brigburn Briar who won the Field Trial class at Crufts three years running. 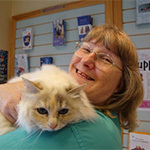 Professionally Lynda worked at a referral Veterinary Hospital helping to establish an Assisted Breeding Specialism. Jane initially qualified as a Veterinary Nurse but then went on to study and qualify as a Chartered Physiotherapist (category A member of ACPAT). She has built up Human Physiotherapy Clinics in both Lamerton and Tavistock where she specialises in back and neck problems in both horses and their riders. Jane enjoys riding her horses with family and friends and she competed her working hunter at County Show level and acheived her BHS Stage 4. Jeremy Hyde has been around horses most of his life, owning horses on his parent’s farm and later with horses and ponies at home with his own family. The Eqwest veterinary clinic was established in 1997 and Jeremy, his wife Jane and the rest of the team have built it into one of the leading equine practices in the West Country. In addition to his equine practice, Jeremy specialises in the investigation and treatment of musculo-skeletal disorders including back problems, lameness and veterinary physiotherapy. 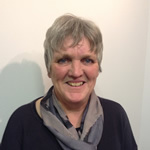 Lynne is currently employed as the FE Assistant Head of School for Veterinary Nursing at Myerscough College in Lancashire. This role involves overseeing and co-ordinating the day-to-day running of the FE course provision at the College combined with teaching across a range of courses from FE, degree and advanced diploma level. 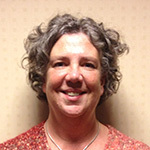 Lynne’s particular areas of interest include senior and palliative care nursing, bereavement care, nursing care of exotic species and surgical nursing. Before joining the Myerscough teaching team eleven years ago, Lynne spent the previous fifteen years working in various small and mixed animal practices across Lancashire as a head veterinary nurse and assessor. 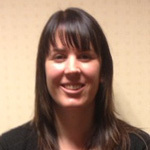 Sarah Lindsey is a registered veterinary nurse with the Royal Academy of Veterinary Surgeons and qualified as Veterinary Nurse in 2000, she is also a member of the British Veterinary Nursing Association. 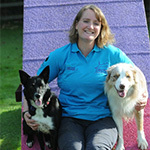 A life-long observer and handling dogs Sarah is a member of the Association of Pet Dog Trainers she also runs her own dog training business, Little Orchard Dog Training Academy. She believes in training by the associations of kind, positive training rules and is a qualified Good Citizen’s award examiner for the Kennel Club. I have worked with Drove Vets for over 10 years, and am a member of the APDT UK and Animal Behaviour and Training Council. I hold a Certificate in Canine Psychology and a Diploma in Managing Canine Aggression. I own two Border Collies and compete in agility with one of them. 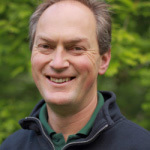 After a long stint as a lecturer and clinician at the Universities of Cambridge and Bristol, Kieran moved to Devon to join the specialist equine veterinary practice EqWest in 1998. A very experienced horse vet, his special interests are respiratory and skin disorders, horse husbandry and management, and pre-purchase examinations. Ian has owned Dachshunds, with his wife Sue, since 1980. They started with a pair of Miniature Long-haired dogs which Sue was persuaded to show. In 1982 they bought their first Wire-haired Dachshund and today they show the “Sunsong” Miniature Smooth-haired and Wire-haired Dachshunds. He has served on the committees of the Wirehaired Dachshund Club, Southern Dachshund Association (as Treasurer and then Chairman) and Eastern Counties Dachshund Association (as Secretary and currently President). 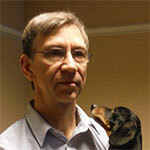 In 2008 Ian was elected as the first Chairman of the newly formed Dachshund Breed Council, representing the interests of all the UK's Dachshund Clubs. His particular interests are Dachshund health and welfare and the education and training of judges. Ian also judges Dachshunds at Championship Show level; first awarding Challenge Certificates in 2000. 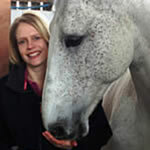 Zoe has worked in many specialist equine practices around the country following qualification from the University of Liverpool in 2006. Throughout her veterinary training the focus was on equine clinical work with special interests in poor performance, whether this involves the musculoskeletal system or other body systems. Poor performance can affect every equine athlete from those that enjoy hacking to the elite competition horse. Her interest led to further study and a master's level qualification in Advanced Veterinary Practice with an internal medicine bias from the Royal College Veterinary Surgeons in 2012. Zoe has also completed further training in equine acupuncture. 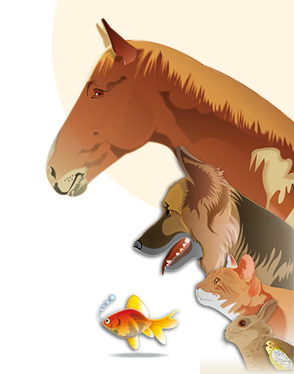 When you join The Pet Professionals Club you are joining a community of like-minded professionals and pet owners who want the best for their companions. Join The Pet Professionals Club and get all of this and more!